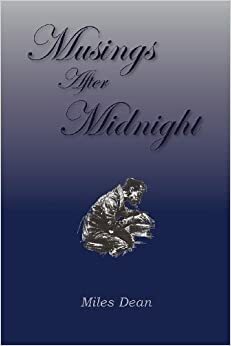 WV Writers contest winner Miles Dean's first two poetry collections, "Furrows on Parchment" and "Musings After Midnight" are now for sale at Taylor Books in Charleston. Miles will be doing a reading and book signing at Taylor Books on February 13th at 5pm. to publish Field Trip to the Museum, from Finishing Line Press. behavior to a new acceptance of herself. Arts Monongahela to host Arts Listening Tour for WV Division of Culture and History Morgantown, WV – Arts Monongahela will serve as host to the West Virginia Division of Culture and History's (WVDCH) Arts staff as they bring the statewide listening tour to Morgantown on Wednesday, Dec. 11th invited to be part of the conversation that will help inform how state and federal arts dollars will be spent to support arts programs in Morgantown. Arts administrators, arts educators, artists and arts consumers and audience members are invited to participate in this informal conversation. The meeting is free and open to the public and will last an hour and a half. Arts staff will hold a series of meetings across the state to listen to the needs and comments of community members. The information gathered will be used to develop new programs and policies for grants available to community, schools and artists through state and federal funding. The arts staff will provide discussion starter questions to begin the conversation at each listening tour stop. For more information on the State Arts Plan and the programs and services of the West Virginia Commission on the Arts contact Debbie Haught at 304-558-0240 ext. 714 or Debbie.R.Haught@wv.gov . For information on the Arts Listening Tour stop in Arts Monongahela, 201 High St. Morgantown, WV or 304-291-6720 or executive@artsmon.org. from 6:00-7:30.